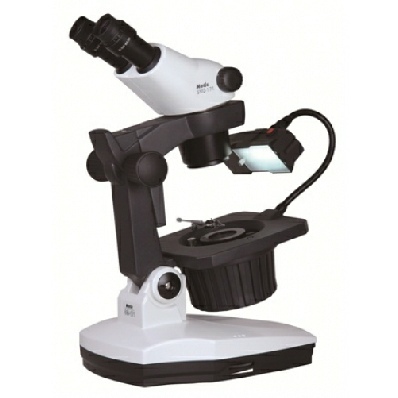 A classic gem microscope with a tilting stand. The darkfield condenser uses a typical optical configuration, based on an halogen illumination system and classic reflecting system. A flexible arm with a fluorescent tube simulates north facing daylight for accurate colour grading. 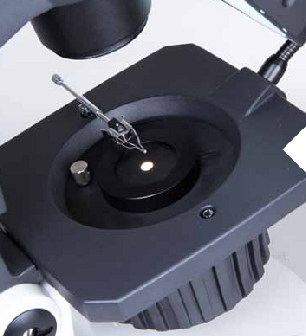 The GM-171 utilizes the optical performance of Motic’s SMZ-171 stereomicroscope to enhance distinct three-dimensional details with a zoom function. 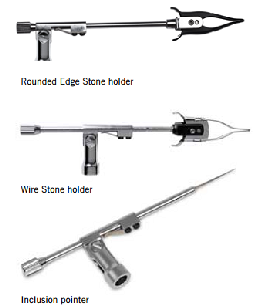 Rugged and precise, the optics of the GM-171 performs identifications, analyses, and measurements more accurately and efficiently, thus reducing your workload. At a working distance of 110mm, manipulation of the inspected gem or the addition of a further apparatus is permitted without obstruction. Available in a trinocular version for digital capture of the gem, the GM-171 provides you with an opportunity for extra revenue. Moreover, when teamed with Motic’s new generation Motic pro series, the GM-171 becomes your instrument of instruction for teaching and training by showcasing the gem in real time via a television, a projector, and computer simultaneously. Integrating a consistent and powerful 30W Halogen bright field illumination with a precise adjustable aperture diaphragm [ø41mm - ø2mm], you are able to measure with a table gauge the proportions and pavilions of a diamond. Dark field is the ideal illumination for observation of inclusions. With Motic’s versatile aperture diaphragm [pictured above], you can control the depth of field and contrast while using the dark field illumination for better identification. Designed for use with diamonds, the incident light can be adjusted for a thorough examination of the clarity, colour, and finishing. The bulb has a colour temperature of 6000K to reduce any yellowing effects on the gem.